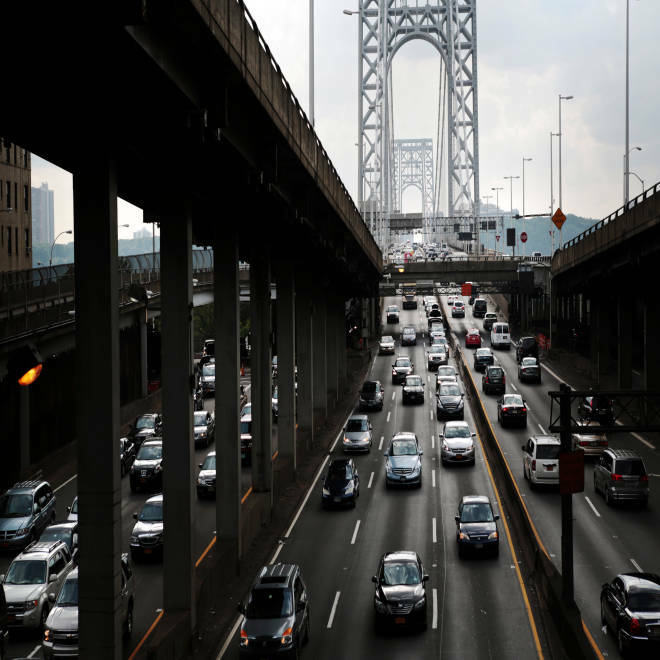 Traffic crosses the George Washington Bridge linking New Jersey to New York on July 15, 2012. The chairman of a New Jersey legislative panel investigating the George Washington Bridge lane closures said Gov. Chris Christie's top aides had engaged in a "cover-up" and the governor could be impeached if it is determined he was aware of efforts to use the bridge for political purposes. "Using the George Washington Bridge, a public resource, to exact a political vendetta, is a crime," New Jersey Assemblyman John Wisniewski, who is spearheading the bridge probe, told NBC News on Saturday. "Having people use their official position to have a political game is a crime. So if those tie back to the governor in any way, it clearly becomes an impeachable offense." In a news conference on Thursday, Christie denied any prior knowledge of plans to use lane closures on the bridge as political payback against the Mayor of Fort Lee for refusing to endorse his re-election. He said he was "stunned by the abject stupidity that was shown here." But Wisniewski said he does not find the governor's denials credible given the number of his top aides and appointees shown to have knowledge of the matter in thousands of pages of emails and text messages his committee has obtained. "It's hard to really accept the governor's statement that he knew nothing until the other morning," Wisnieswki said. New documents renew questions about what New Jersey Gov. Chris Christie knew and when he knew it. NBC News' Kelly O'Donnell reports. Referring to Christie aides named in the emails and text messages, he added: "These people travel with him, these people discuss things with him every single day. This is not an isolated, unknown story. ... He knew there was an investigation. He knew people were looking at it, and his senior staff was involved (and) he expects us to believe he knew nothing? I just find that implausible." Christie's press secretary, Mike Drewniak, did not immediately return a phone call and email request for comment. Wisnewski said Drewniak is one of the Christie aides that the documents show had some knowledge of the bridge lane closures. Wisniewski’s comments came shortly after New Jersey’s Democratic Assembly Speaker -elect Vincent Prieto said he plans to call a special session on Thursday to reauthorize subpoena power for Wisniewski's committee. That would enable Wisniewski to pursue what Prieto called "the abuse of power" in the bridge lane closures. Wisniewski said he plans to use that power to subpoena official and private emails, text mesages and other documents from Christie's current and former top aides and then call them in "one by one" to testify. 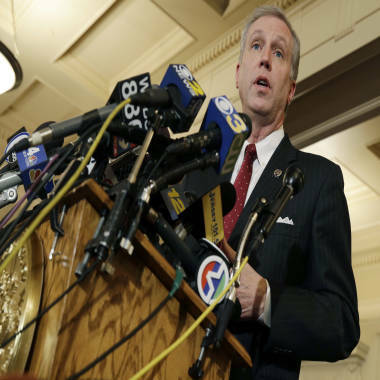 New Jersey Assemblyman John Wisniewski answers a question at the Statehouse, in Trenton, on Wednesday. Bill Baroni, a Christie appointee who was then deputy director of the Port Authority, forwarded the email from Foye, marked "Importance: High," to Egea three hours after Foye sent it to top Port Authority officials. There is no indication from the documents whether Egea responded to the email. (She did not immediately respond to an email request for comment.) But Wisniewski said, "It's hard to believe that she got that email and she just filed it away or she said nothing." "If you know anything about New Jersey statehouse politics, this is a governor -- all of our governors quite frankly -- are governors who really tightly manage that operation," he said. "There are no freelancers or independent operations there. And so it strains credibility to believe that the governor knew nothing."